Let them prosecute and persecute above ground—things went on every day that they couldn’t reach, and voices laughed at night that they couldn’t place! Order your own copy of Return to the Night of the Zealot at your local retailer or online through our website today! Your adventures in Arkham Horror: The Card Game have taken you across the world, from the haunting New England countryside to the lights of Paris and the jungles of South America. Now, after years of chasing answers to the universe’s most maddening questions, the time has come for you to return to the place where it all began, but it will not be as you remember. 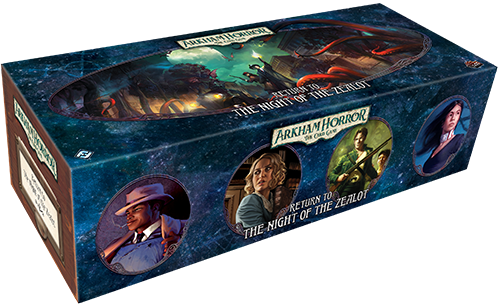 Return to the Night of the Zealot, a new upgrade expansion for Arkham Horror: The Card Game, is on sale now at your local retailer or online through our website! 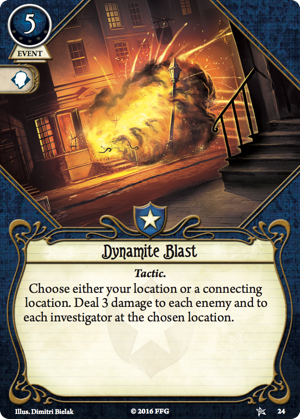 In your first steps into the Lovecraftian Mythos in the Core Set, you confronted a dangerous cult that threatened your hometown from within. 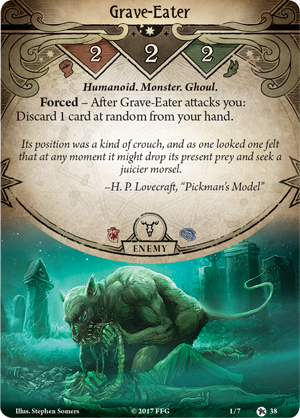 All the while, you were learning about the investigators, mechanics, and environment that make Arkham Horror: The Card Game a thrilling adventure with the power to immerse you in a world of complete madness. Now, you are invited to experience your first investigation with new eyes, confronting increased challenges with sixty-six new cards. The cultists are deadlier, the stakes are higher, and nothing is as it was. In addition to the new encounter and player cards, this upgrade expansion also comes with a premium box and eighteen divider cards to house your complete Night of the Zealot campaign, keeping your treasured cards safe as you duck into dark alleys and dodge attacks from the things that lurk in Arkham's shadowed streets. Your story begins in a familiar setting—your study. You are up late, researching a recent string of disappearances, when the sounds of a strange chanting begin to echo through the halls. At the same time, you hear dirt churning beneath your floor. Then, the door vanishes! Something nagging at the back of your mind tells you that this has happened before, but why do you feel as if something is wrong, that the story is not playing out as it should? Your answer comes when a strange gateway appears in place of your study door. This isn’t right. Why is this happening? The only way to find out is to swallow your fear and step through the portal. In your absence, the forces of darkness have not been idle. In the time that has passed since you last experienced these events, your adversaries have only grown stronger. 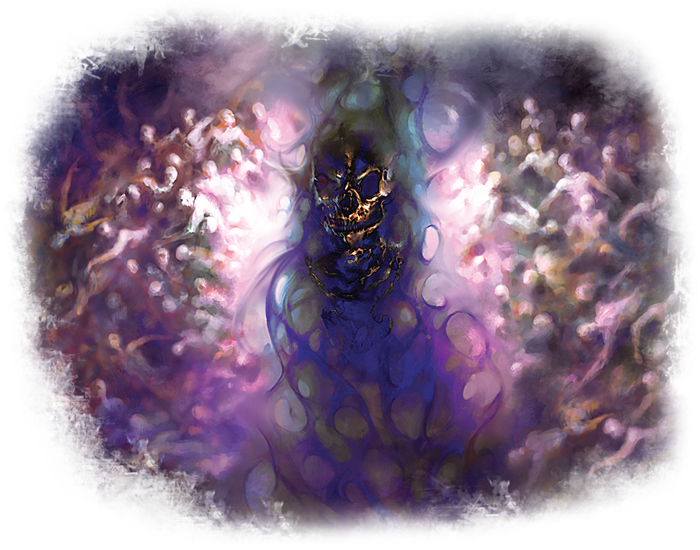 Return to the Night of the Zealot introduces new encounter sets to modify and enhance the campaign’s three scenarios: Return to the Gathering, Return to the Midnight Masks, and Return to the Devourer Below. Each set is supplemented with Ghouls of Umôrdhoth and members of The Devourer’s Cult, altering them from the Ghouls and Cultists you first met in the Core Set. As you seek answers to the mystery of what brought you here, you may happen upon a Grave Eater (Return to the Night of the Zealot, 38) crouching in the once-peaceful cemetery or even find yourself pitted against an Acolyteof Umôrdhoth (Return to the Night of the Zealot, 39) himself! With such monsters standing against you, it may just be easier to give up and abandon Arkham to its fate. This town has pushed you to the edge of madness, within an inch of your life… but somehow you can’t stand to say goodbye. You stand alone before the fall, but you are far from unprepared. As the challenges you face become more perilous, Return to the Night of the Zealot provides you with a collection of upgraded player cards to help you stand against the Devourer’s Cult. 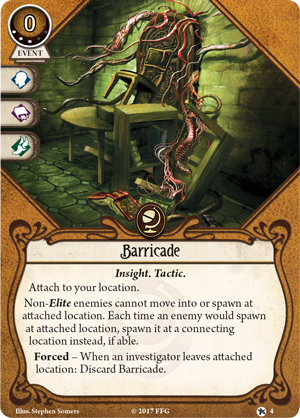 Seekers can build a more effective Barricade (Return to the Night of the Zealot, 4) that can not only keep out non-Elite enemies, but also stop them from spawning there altogether. 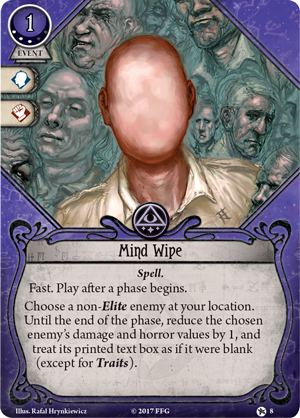 Meanwhile, Mystics may cast Mind Wipe (Return to the Night of the Zealot, 8) to temporarily blank the text box of a non-Elite enemy and reduce its ability to harm you. 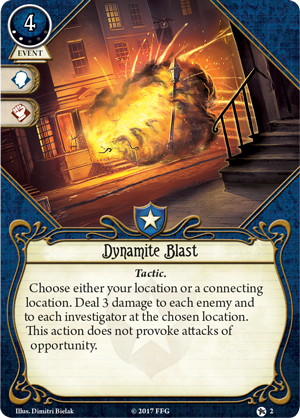 Then, if all else fails, Guardians can hit their enemies with a deadly Dynamite Blast (Return to the Night of the Zealot, 2). With a lower cost than its original version (Core Set, 24) and the added specification that using the card does not provoke attacks of opportunity, this is the perfect tool for exterminating the swarms of ghouls that teem beneath your house. 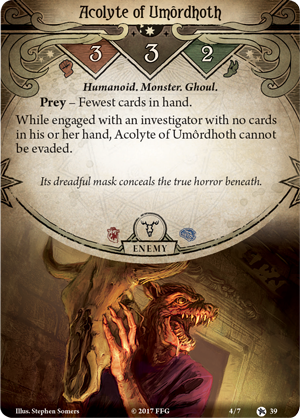 Beyond the newfound dangers of the campaign and strengthened implements to aid in your investigations, Return to the Night of the Zealot also offers a list of possible achievements for your team of investigators to strive toward, creating the ultimate challenge that only the Arkham Horror Files universe can provide. You may choose to deny yourself a potentially powerful ally by refusing to add Lita Chantler to your deck with I Don’t Trust Her. Or you may go even further and embrace the madness that grips Arkham with They’re Just Misunderstood, winning the campaign without defeating a single unique Cultist enemy. With this new ability to define your own game, you can come back to the adventure again and again to test your mettle and become a true master of Arkham Horror: The Card Game. Can you outwit the cultists who've taken hold of the city in your absence, or will you fall before the might of the Devourer Below? No one should have to endure all you have seen, but the universe seldom seems concerned with what is fair. You cannot simply turn your back on this place. While the sun may shine brighter on nearly any other town, Arkham is a part of who you are, and you cannot let it fall into darkness. It’s time to come home. Pick up your own copy of Return to the Night of the Zealot (AHC26) at your local retailer today or online through the Fantasy Flight Games website here!